Vostro mobile edition. The small brother of the Vostro 1500 tries to impress through better mobility while offering the same qualities as the 15.4" version. As usual with the Vostro series, the price matters as well. 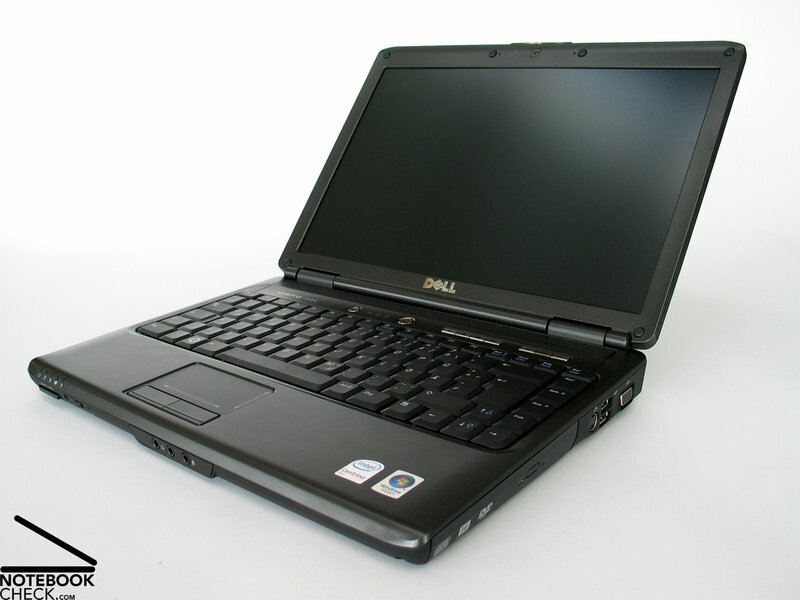 Depending on the configuration the laptop can be had for as little as 700 Euro. 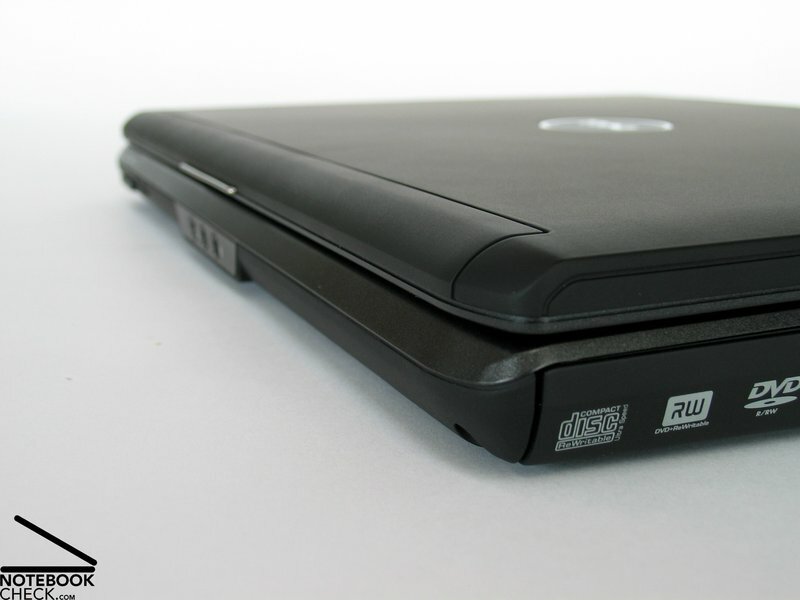 The look of the case resembles a lot the Vostro 1500, which we already tested (Vostro 1500 review). However, thanks to the compact size and slimmer base unit, the shape of the Vostro 1400 is a bit smoother and agile, without the slightly clumsy feel of the Vostro 1500. 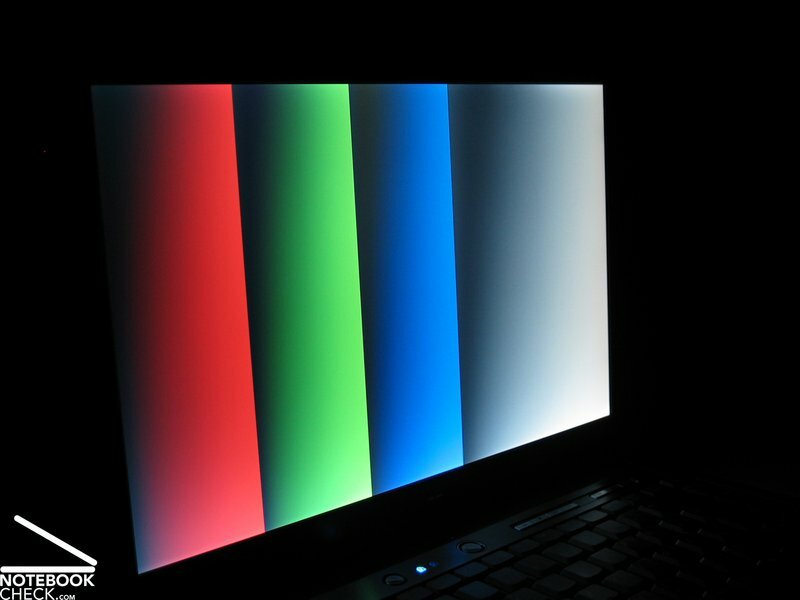 There is no obvious change in colours. Black is still dominant and apart from some additional buttons, the Dell logo and a few stickers, there isn't much variation. 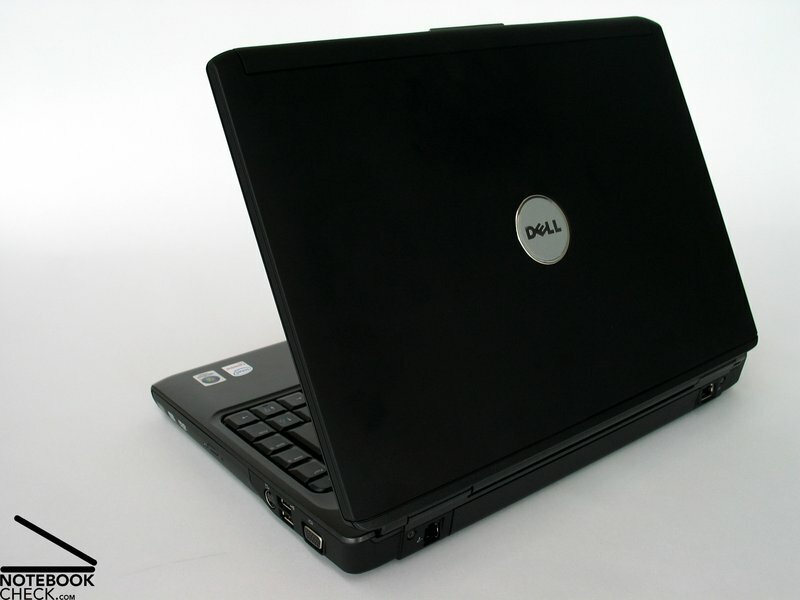 With this emphasise on business, Dell tries to distance the Vostro series a bit from the Inspiron notebooks (Inspiron 1520 review). The surface of the compact case feels agreeable, which is mainly due to the material choice for the surface parts (magnesium and aluminum). The downside of this pleasantly rough and silky feeling surface is the fact that it is very susceptible to finger prints, which inevitable collect at the lid. Removing said prints isn't easy due to the surface structure. A bit of cleaning detergent is highly recommended. The usage of high quality parts has a very positive effect on the stability of the case. The Vostro is twist stiff and shows an impressive resistance to compressive forces. This holds also true for the lid, which has a slight clamshell look. 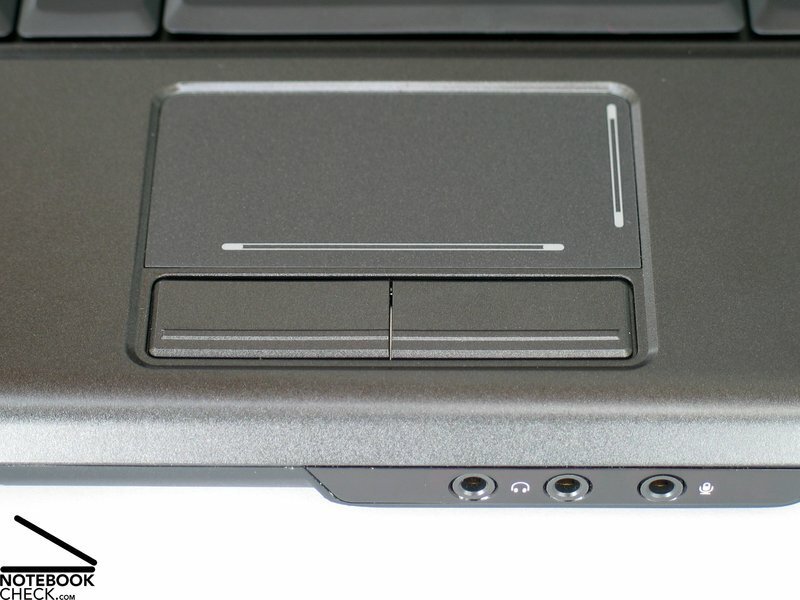 The hinge is as reliable and keeps the screen without any obvious wobbling in position. Since a closing system with a security latch wasn't implemented, the Vostro should be transported with care, to avoid small objects entering the room between body and screen. 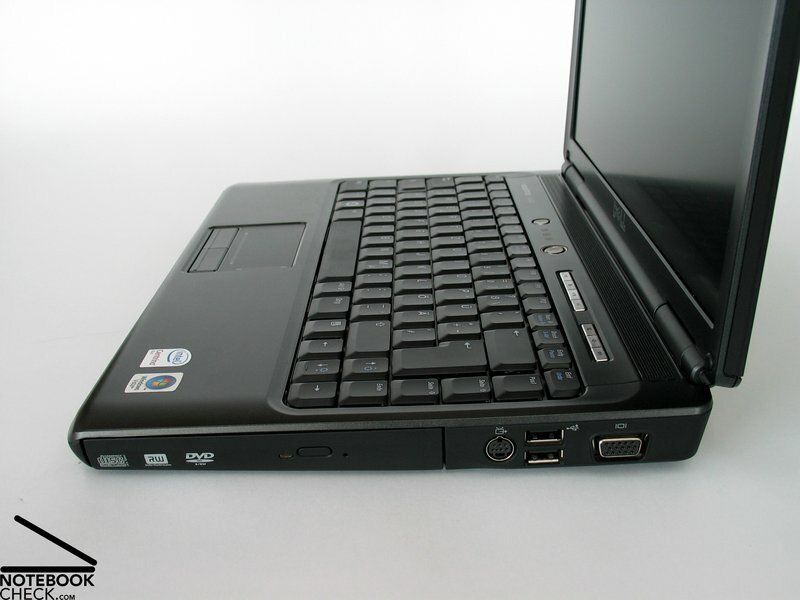 Similar to the Vostro 1500, the Vostro 1400 offers only standard office connections. 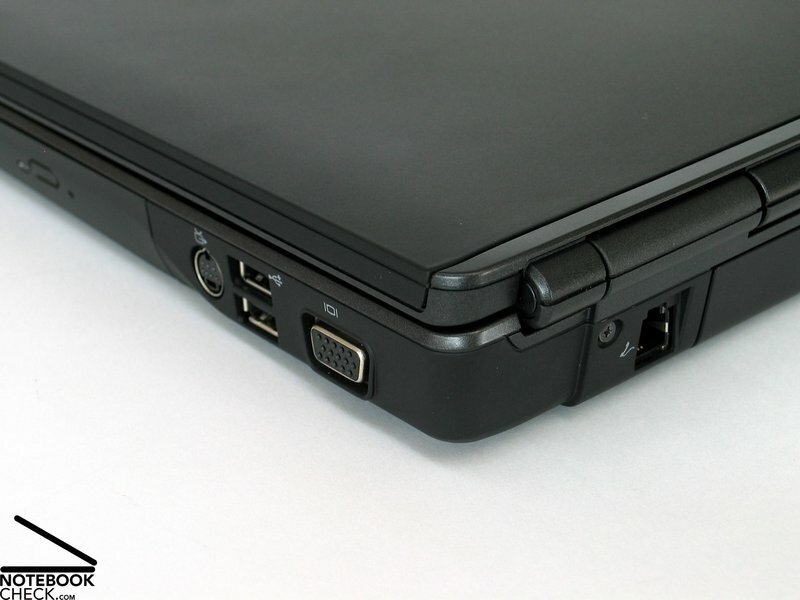 The missing DVI or HDMI and docking port, are hard to bear, especially on a mobile and compact 14" notebook. The arrangement of the other ports is acceptable. They are mainly located at the back of the case. 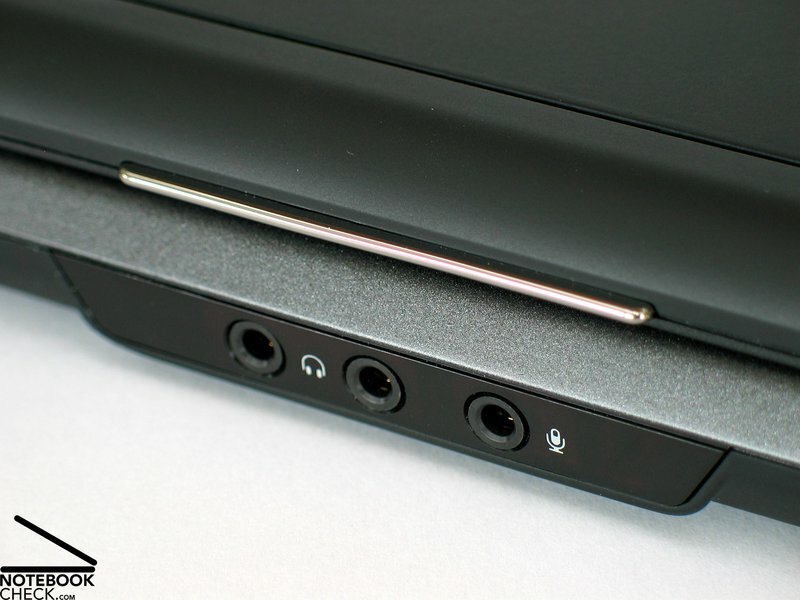 However, depending on their use, the location of the audio connections at the front might not be optimal. Positive: The Vostro 1400 contains an UMTS option. This allows, together with a corresponding internet contract, almost unlimited internet connectivity. Furthermore the configuration can be extended with an integrated two megapixel camera. The shipment also contained a Bluetooth mouse, a headset and a remote control for the Vostro. 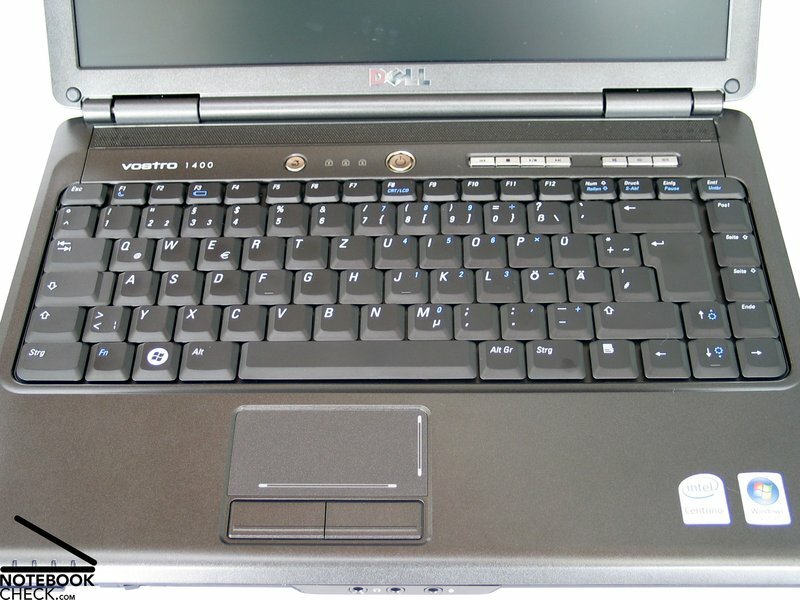 The keyboard looks identical to the Dell Vostro 1500, so it is likely that the same part has been used. 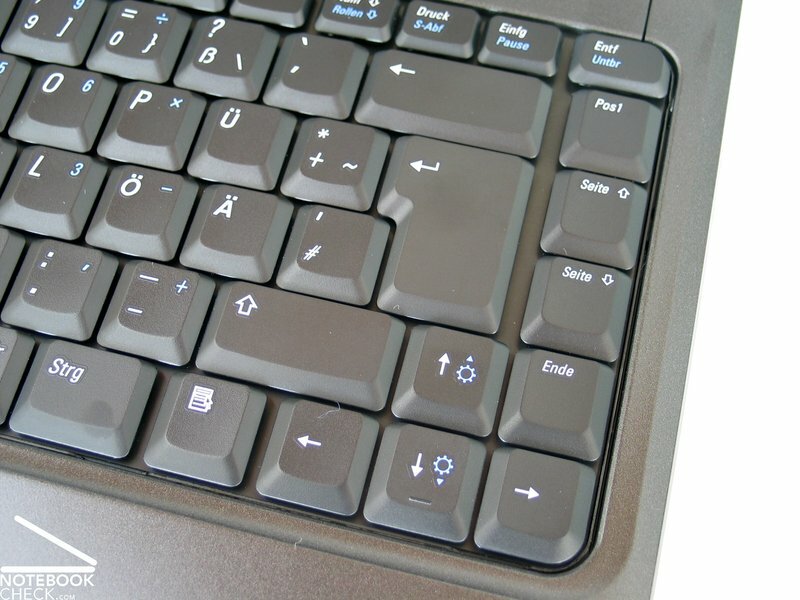 In respect to the usage similarities, like the very firm fitting keyboard, are noticeable. This has a direct influence on typing and shows in a pleasant typing feel with a clear pressure point. The keyboard can also put up with harder typing without any problems, though this shouldn't be necessary. All keys are very responsive and there was virtually no ignored keyboard input. The touch pad reacts direct and precise as well. Especially the feel of the buttons is excellent. The scroll areas are marked at the right side and at the bottom. 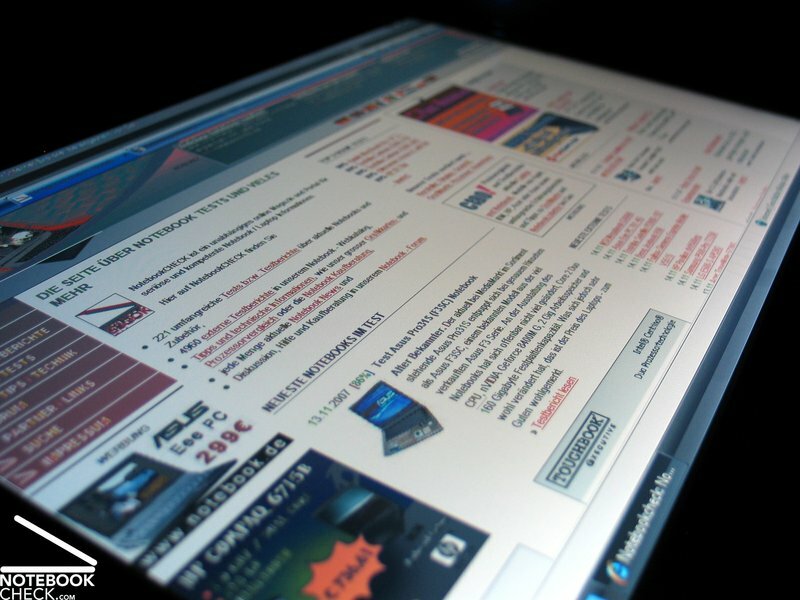 Additional buttons are located at the upper right of the keyboard, which allow for example to change the volume. 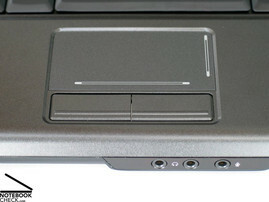 A hardware switch for the wireless network and buttons to control Mediaplayer functions are located at the front edge of the laptop. 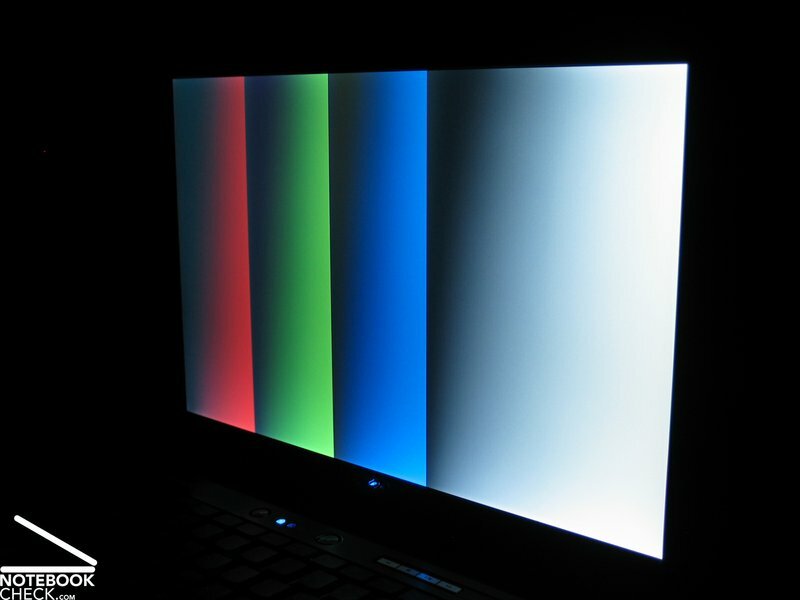 The tested notebook contained a 1280x800 pixel WXGA display, with a dim surface. A TrueLife (reflecting surface) version of the WXGA screen and a WXGA+ display with a resolution of 1440x900 pixel is also available. The latter only with TrueLife though. Similar to the Vostro 1500 the image quality was a bit bland regarding colours. Also different graphics, like for example desktop icons, weren't shown perfectly clear. This could sometimes be noticed with text as well. In contrast, the measurement of the display brightness was better. The WXGA display achieved a maximum of 255.1 cd/m² in the lower center area of the screen. The average brightness was a very good 198.8 cd/m2. Only the illumination of only 60.9%, due to a decline in brightness in the upper corners to 155.4cd/m2, was disappointing. 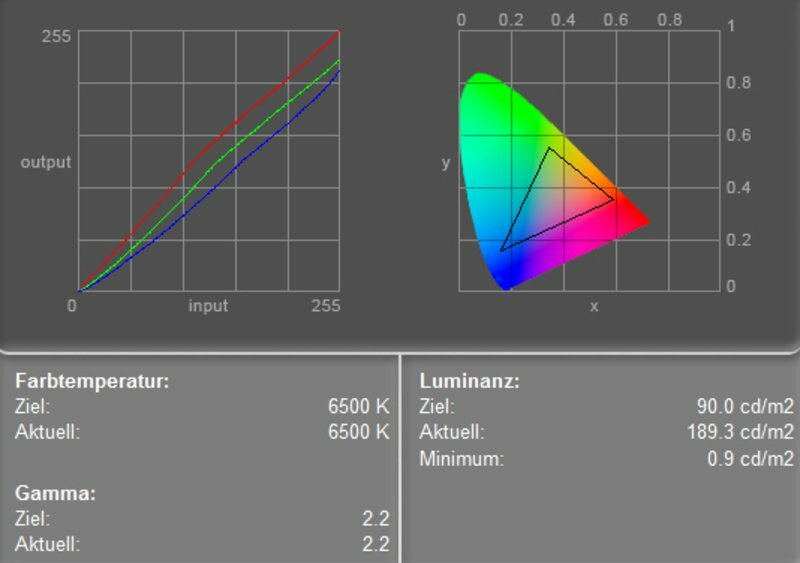 The minimal presentable brightness (black value) of 0.9 cd/m2 is responsible for the maximal contrast ratio of 283:1, which is an acceptable result. 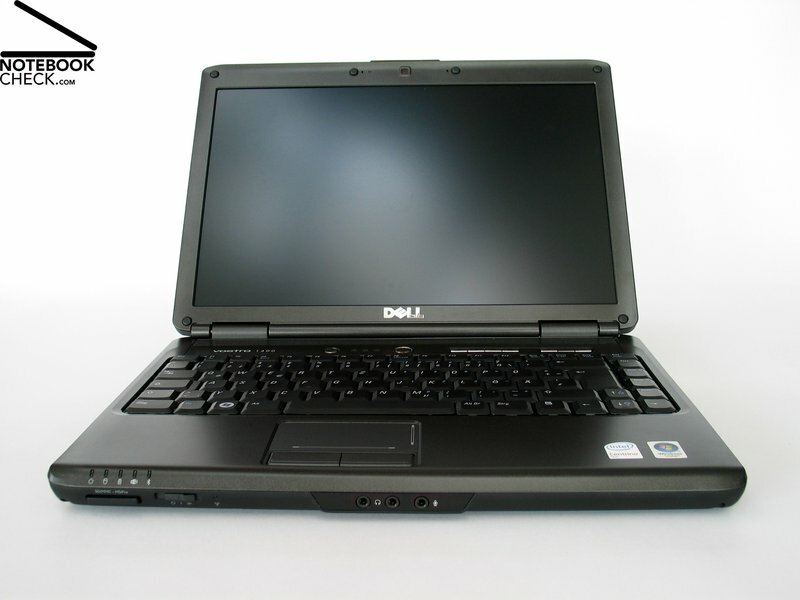 The measured values combined with the dim display makes the Dell Vostro 1400 usable outdoors. 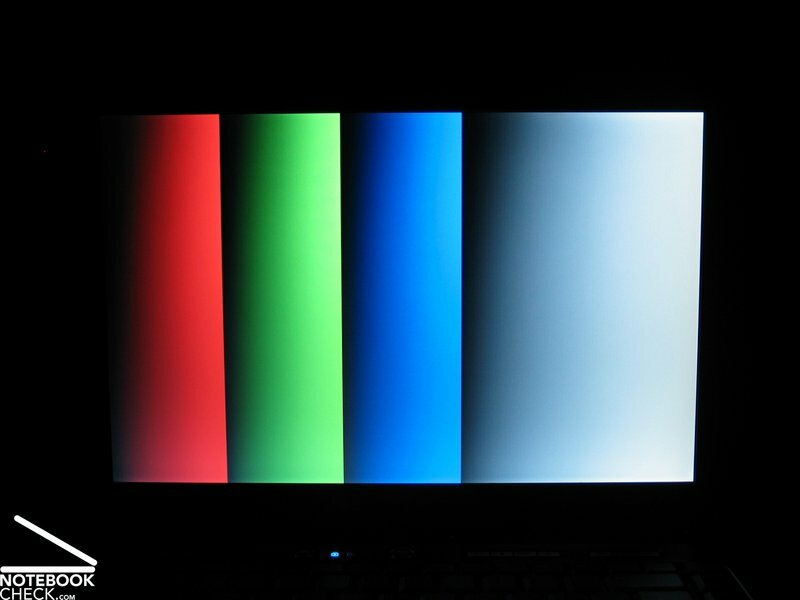 Depending on the general brightness, the image shown allows working quite comfortably. We noticed a very limited viewing angle of the Vostro 1400, similar to the Vostro 1500 with dim WXGA display. Even a small vertical change to the optimal viewing angle already alters the image, which turns darker the bigger the change, to the point where the content is no longer recognisable. The horizontal viewing area on the other hand, is far more tolerant. 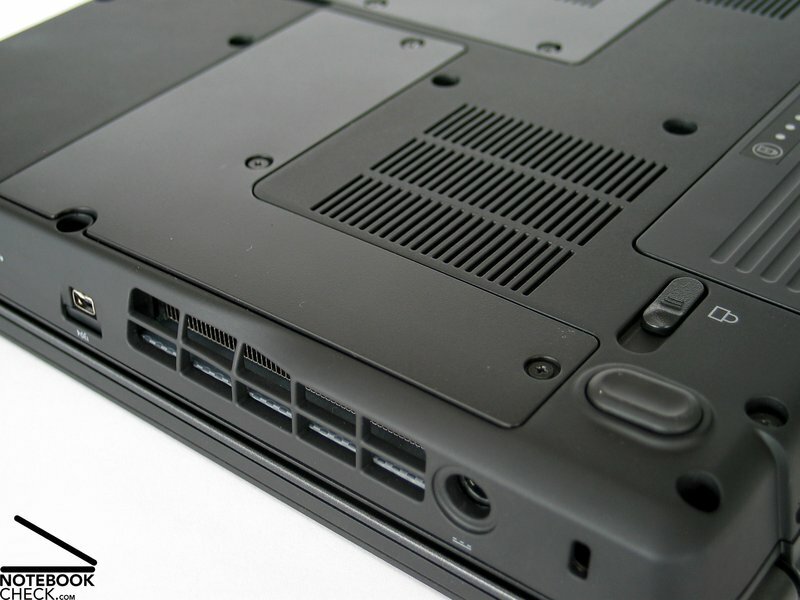 In order to adjust the Vostro 1400 as good as possible to the requirements of each customer, Dell offers a wide range of possible hardware configurations. Variations are possible for the processor, graphic card, memory and hard disk. The current offered choice of processors starts with the Core 2 Duo T5270 respectively T5470 with 1.4 and 1.6 GHz and goes up to the powerful T7250, T7500 and T7700 with maximal 2.4 GHz. 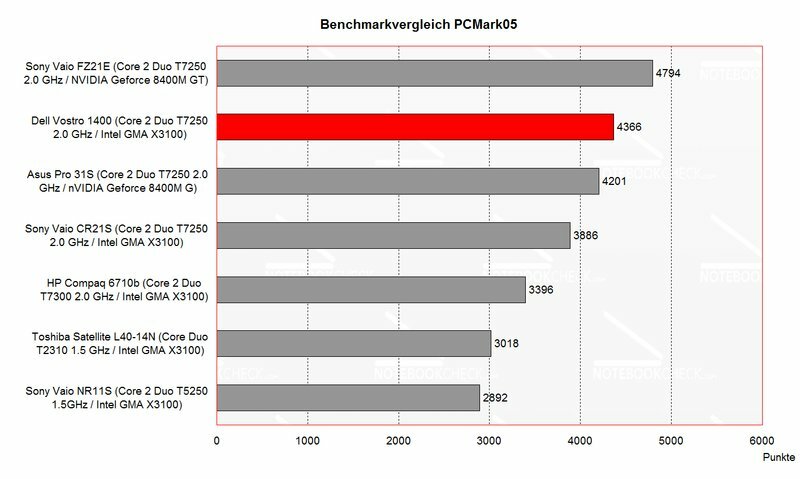 The price rises with the performance however and as such there is a steep difference of 500.- Euro between the cheapest processor and the T7700. The graphic card offers a though choice as well. Either integrated graphics from Intel, the GMA X3100 graphic chip or a dedicated nVIDIA Geforce 8400 GS with 128 MB video memory. For office applications the X3100 is more than adequate. The Geforce 8400 pushes the performance more towards multimedia applications. It can even handle older games without problems. The additional cost of the Geforce is around 100.- Euro in the online configuration. Next is the choice of the random access memory. Even for an office computer at least 2 GB should be chosen, to get stable performance and an uninterrupted work flow. 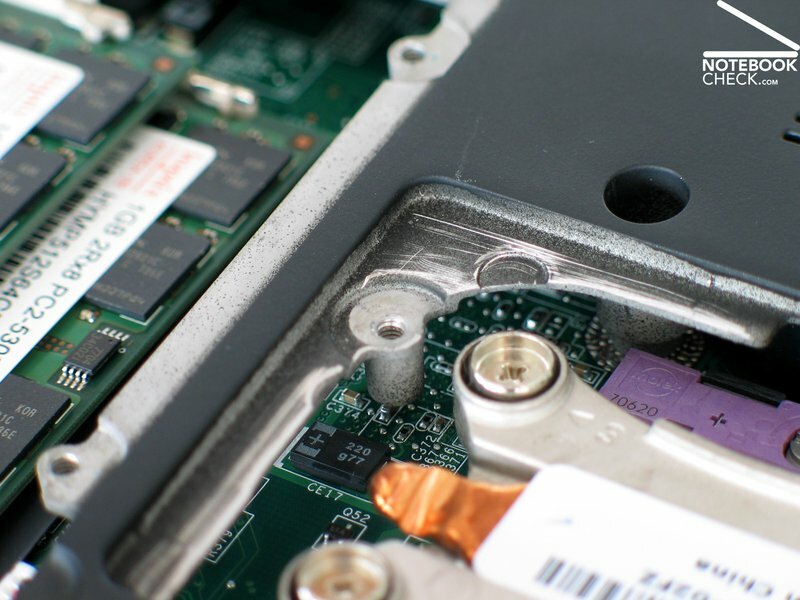 The choice of hard discs range from 120 GB to 250 GB models with speeds of 5400 to 7200 rounds per minute. The 7200 hard discs have the advantage of faster access and transfer rates, but might in turn be noisier than their slower colleagues. Our test sample consisted of a T7250 processor with 2.0 GHz, a GMA X3100 graphic solution, 2 GB RAM and a fast 160 GB hard disc with 7200 r/min. This configuration currently costs about 900.- Euro without shipping, according to the Dell online configurator. The notebook shows very good office performance with sufficient power to run all standard office and internet applications. Especially the hard disc from Seagate with 7200 r/min could impress with quick access times and excellent transfer rates. The maximal measured surface temperature was surprisingly at the upper side of the notebook. At the central area of the keyboard we measured a temperatures of up to 41.1°C. This has no implication on working with the laptop though. The bottom of the Vostro 1400 showed a similar heating up. The maximum temperature was 40.2°C. (±) The average temperature for the upper side under maximal load is 36.9 °C / 98 F, compared to the average of 29.4 °C / 85 F for the devices in the class Office. (-) The average temperature of the palmrest area of similar devices was 28.2 °C / 82.8 F (-10.4 °C / -18.7 F). 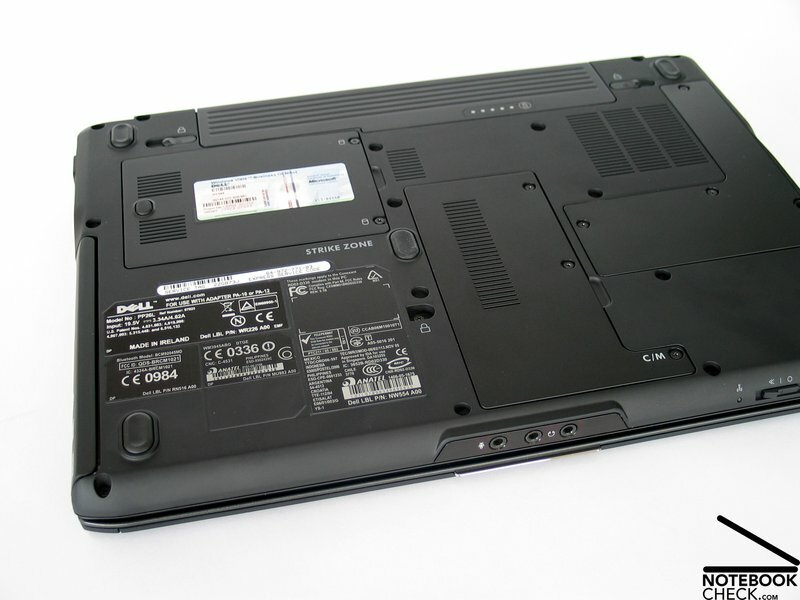 The two speaker left and right above the keyboard, offer a clear and precise sound for a 14" notebook. Even the replay of deep bass is acceptable. So is the maximal possible volume. The test of the sound output over a 3.5mm stereo output didn't show anything out of the norm. The test sample was equipped with a standard six cell Lithium-ion batteries with a capacity of 56Wh. The Vostro 1400 was able to run an impressive maximum of six hours. However, under maximum load away from any outlets, it run out of battery after a bit more than one hour. 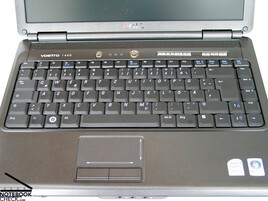 While showing a DVD, the Vostro 1400 achieved acceptable two and a half hours; enough for most Hollywood blockbusters. In WLan mode it run for three and a half hours. 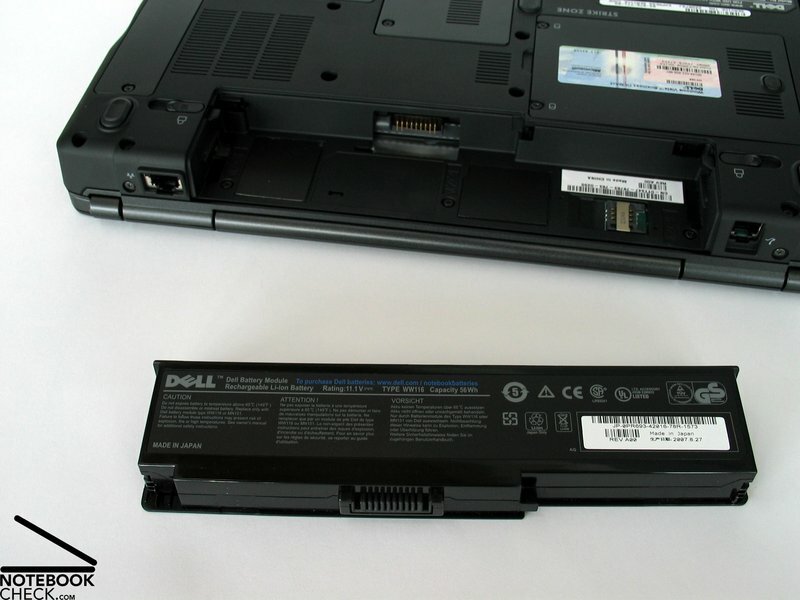 Although the battery offers sufficient mobility in the standard version, Dell offers additionally an upgrade to a nine cell battery with 85Wh. This should increase battery life by about 50% and is a valuable upgrade, considered the low cost of only 10.- Euro. The downside of this bargain is an increase in weight and the fact that the battery stands out a couple of centimeters at the back of the laptop. For all not bothered by this, the battery upgrade will be a wise investment. 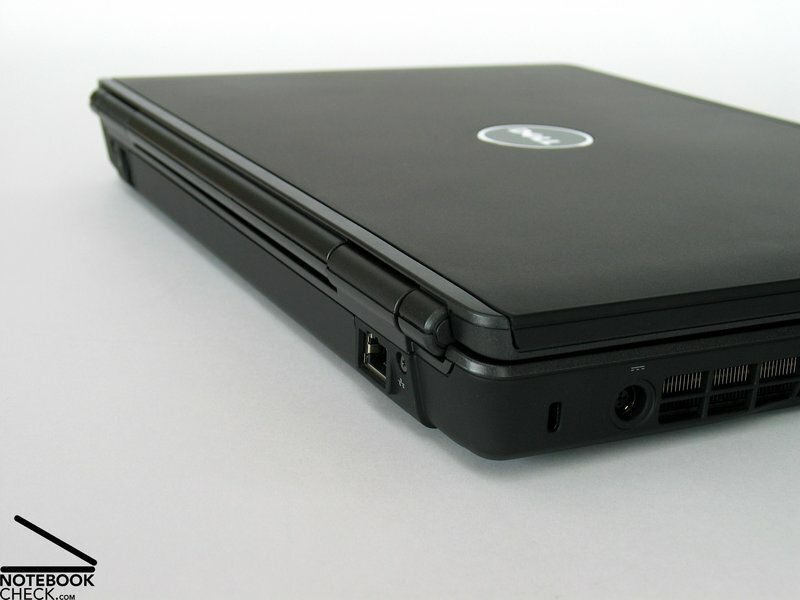 The Dell Vostro 1400 was able to show it's advantages in the test. Especially the case and the input devices speak for this compact office notebook. The weaknesses are mainly the display and the connections. 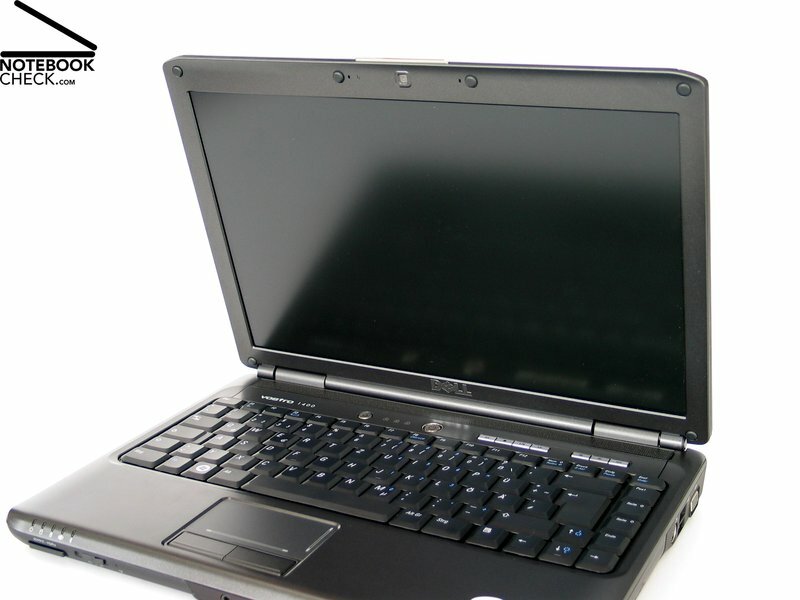 A HDMI or DVI connection is recommended in a mobile office laptop. The design turned out well. It seemed much more coherent than the Vostro 1500, which is a bit clumsy in comparison. Excellent is also the case stability of the Vostro 1400. The use of high quality parts was definitely valuable. Also the input devices could convince. The robust keyboard and the touch pad leave a good impression and can be recommended for the daily office work. 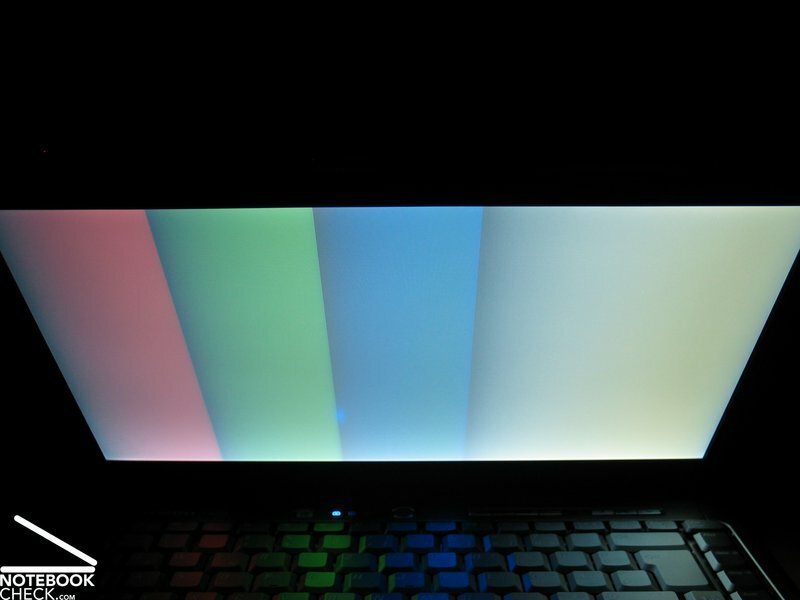 Although the dim WXGA display showed good test results, it failed to impress regarding image and colour rendering. The TrueLife or the higher resolution WXGA+ display might be better alternatives. 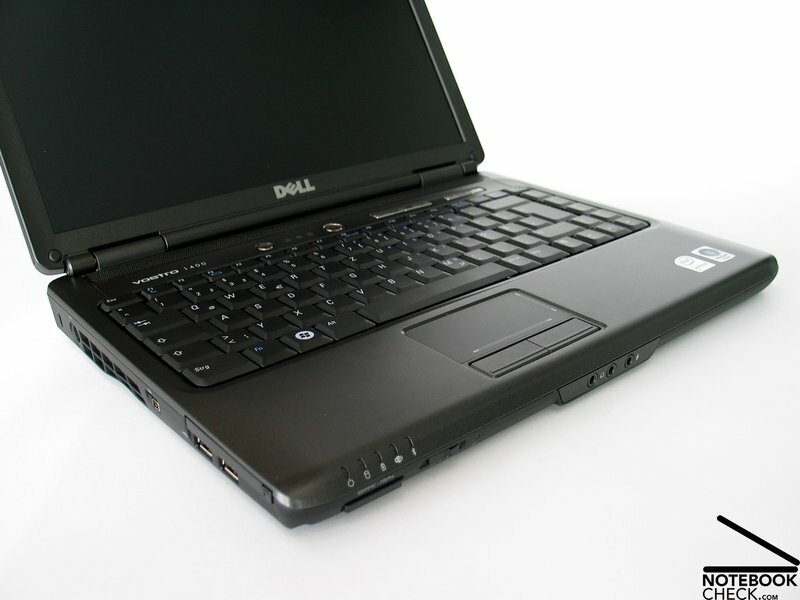 Due to numerous possible configurations, the Dell Vostro 1400 manages to fulfill most wishes regarding performance. 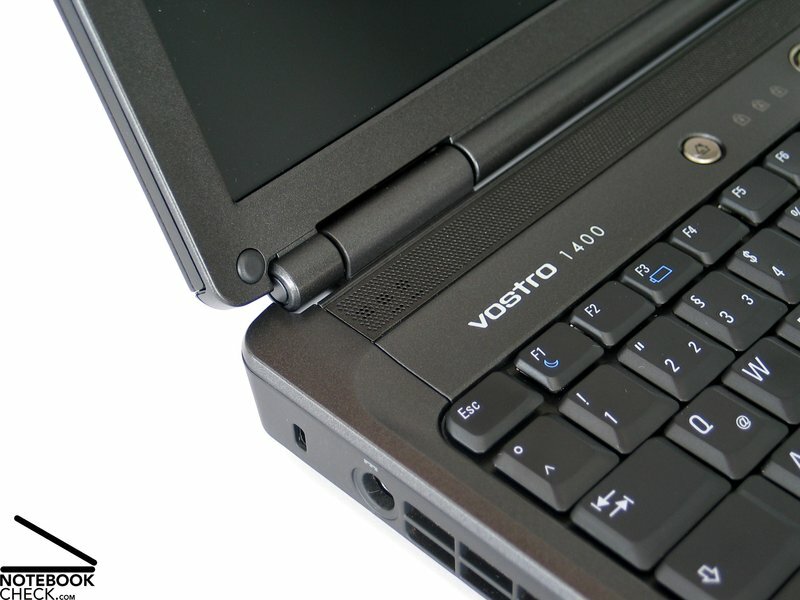 With the Vostro 1400 everything is possible; from spartan office book to powerful multimedia laptop. Not only the noise level but also surface temperatures stayed low during the test. 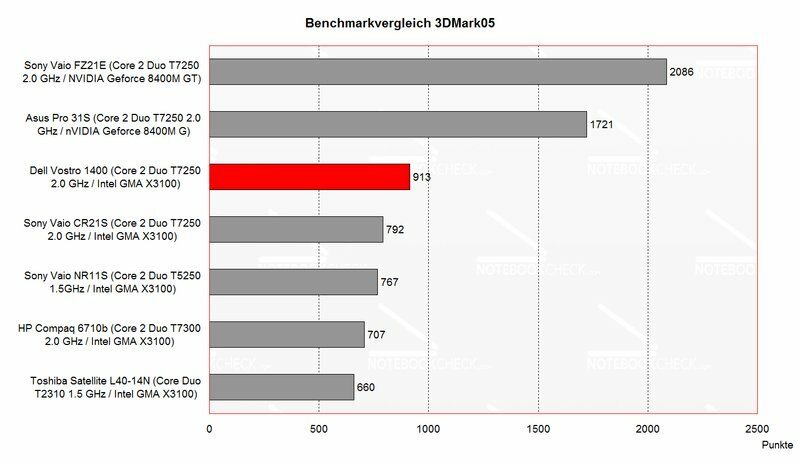 This is most likely due to the average hardware equipment with integrated graphic chip. Also the sound output test showed surprisingly good results. Although the battery life of the standard six cell battery is long enough, the nine cell battery is recommended for mobile users. 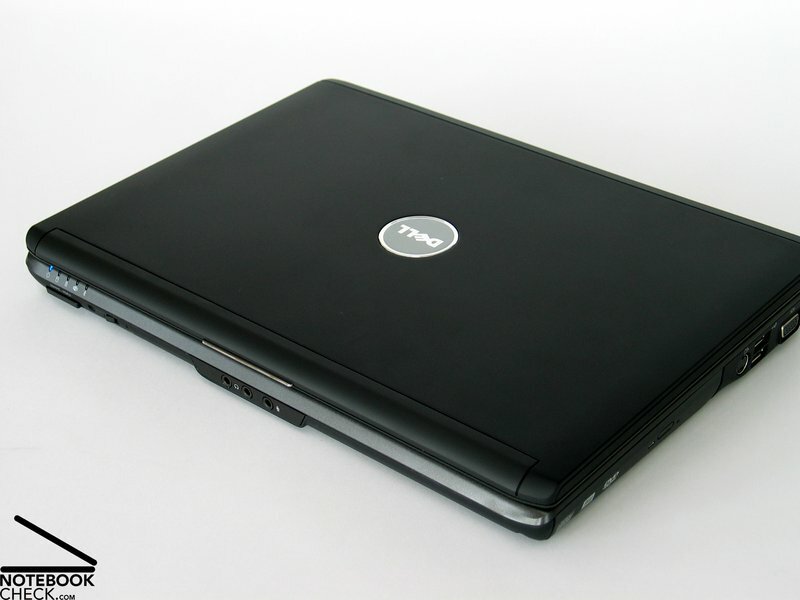 The Dell Vostro 1400 with a 14" WXGA display is the small brother of the Vostro 1500. 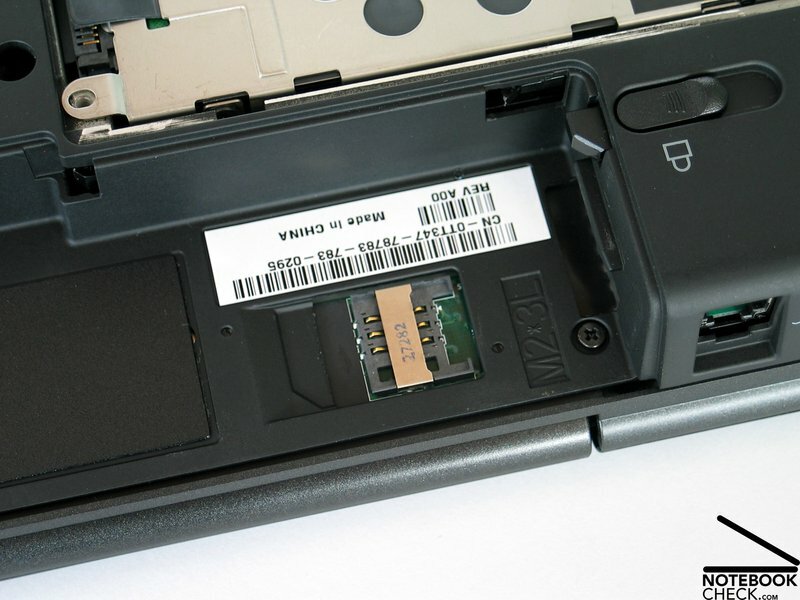 The UMTS Sim-Card is located in the battery slot. The keyboard allows comfortable writing. ...it fails to impress with the image quality and colour rendering. 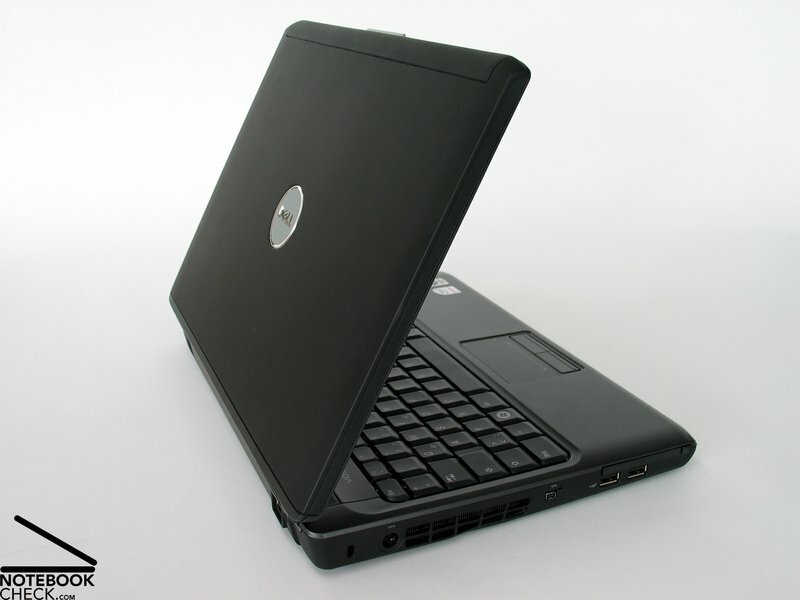 Various configurations are possible, starting from cheap models for beginners to powerful business laptop. 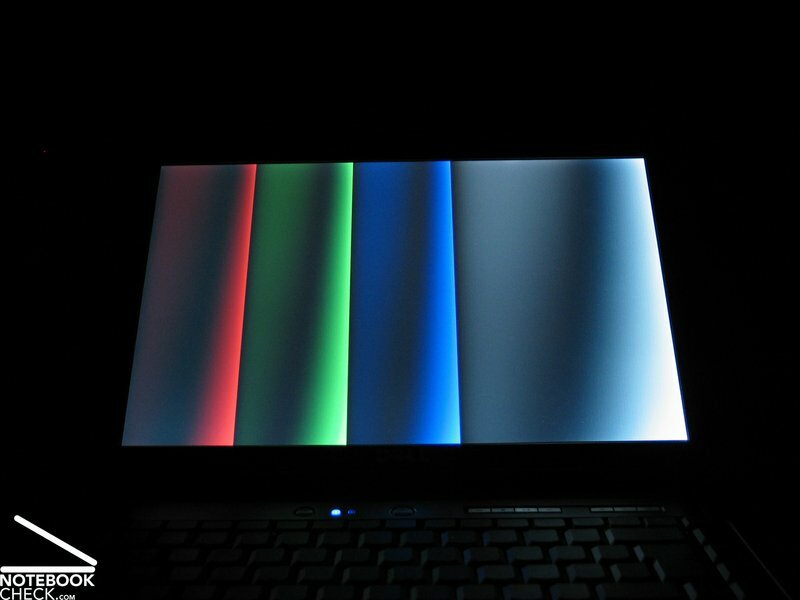 The noise level of the tested notebook stayed low at all times. The same can be said about surface temperatures. Both speakers attract attention with high sound quality. The bottom allows a quick adjustment of the hardware through various maintenance slots. The audio exits are located at the front. ...but the orientation towards business should be emphasised with the black finish. The feel of the surface can convince. Responsible for that are mainly the high quality parts used. The robust metal case with black paint work. All in all the Vostro 1400 feels significantly more mobile than the 1500 version. The connections failed to impress. Particularly the missing DVI, HDMI and docking option are quite a loss. 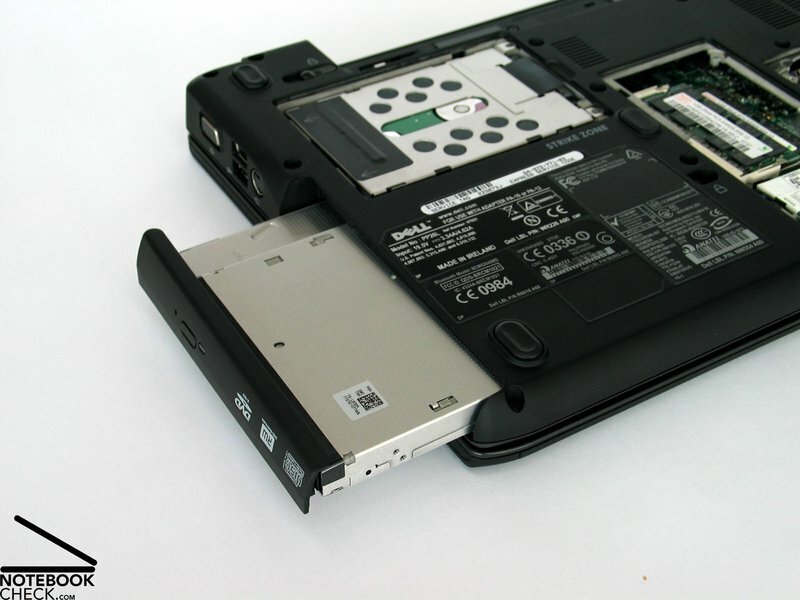 Even the battery in the base configuration (6 cells) can run the laptop for quite a while.